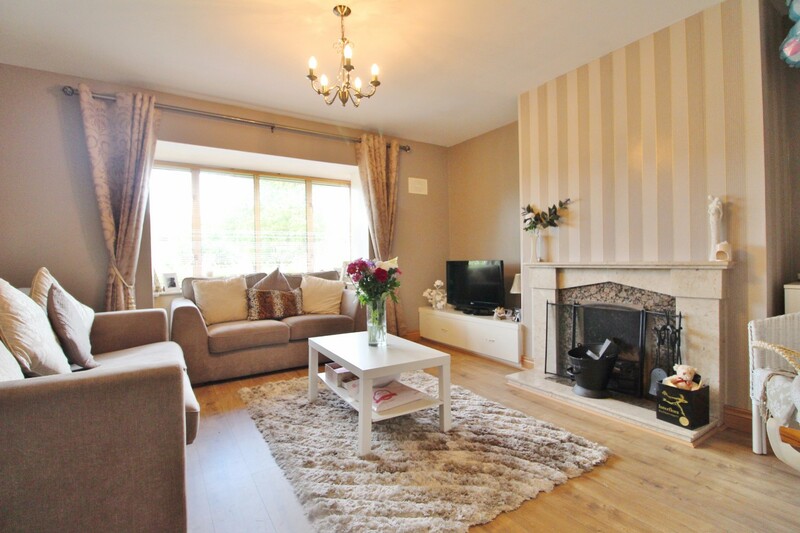 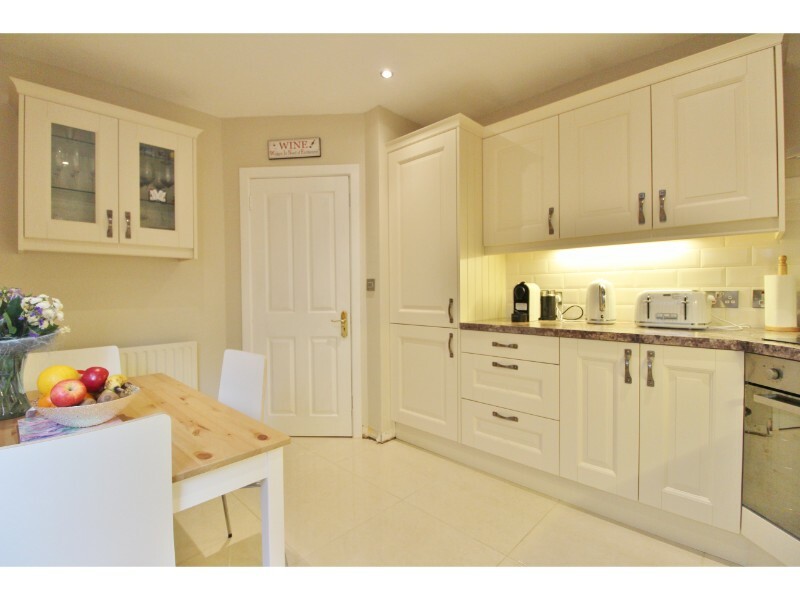 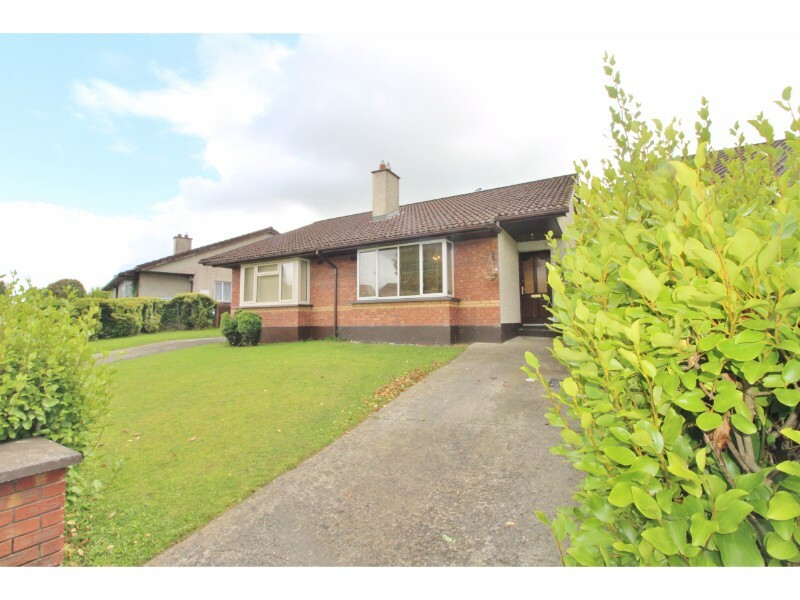 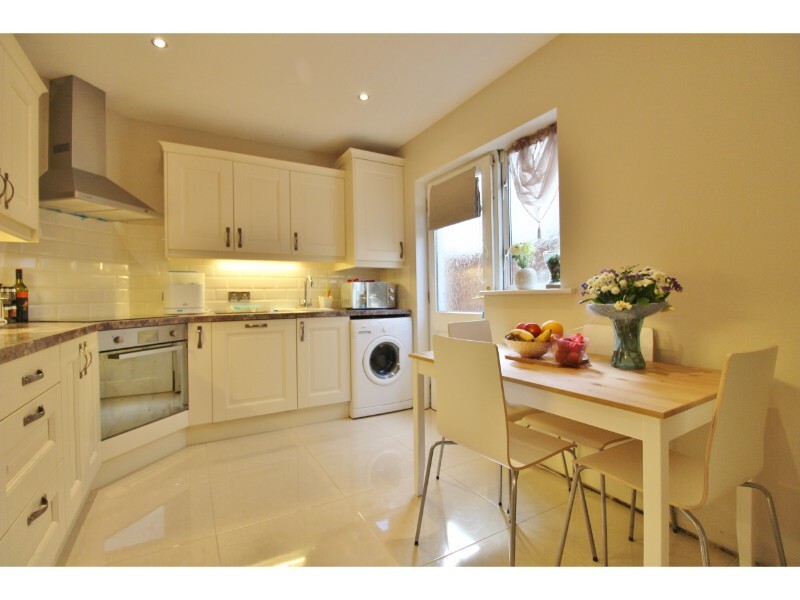 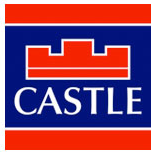 Castle Estate Agents are delighted to present 11 Corbally Rise to the market. 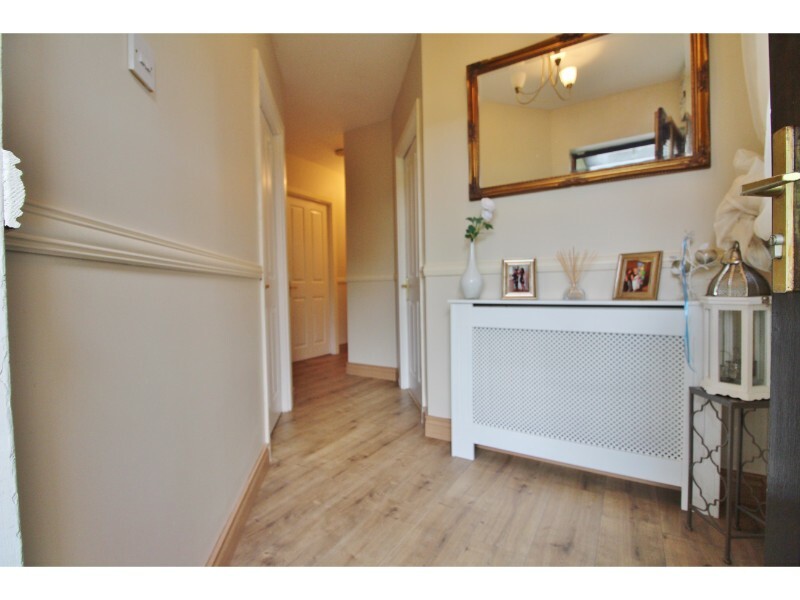 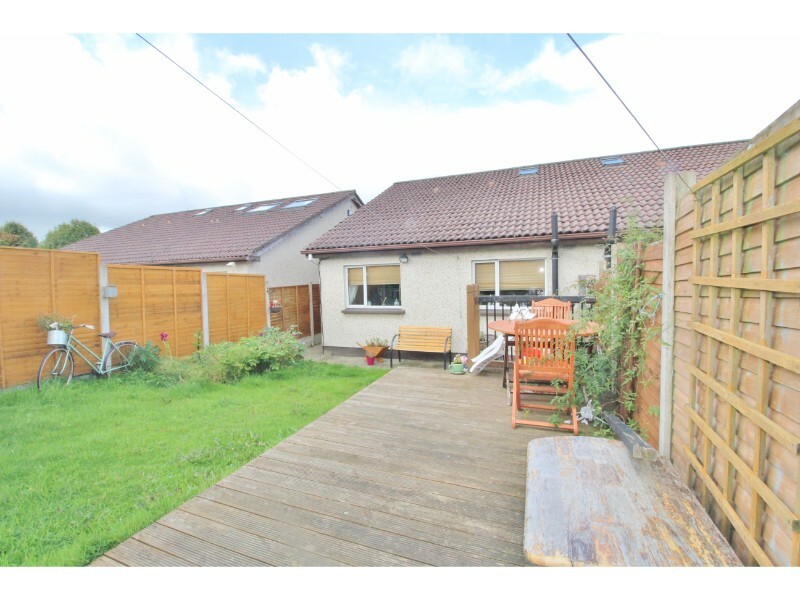 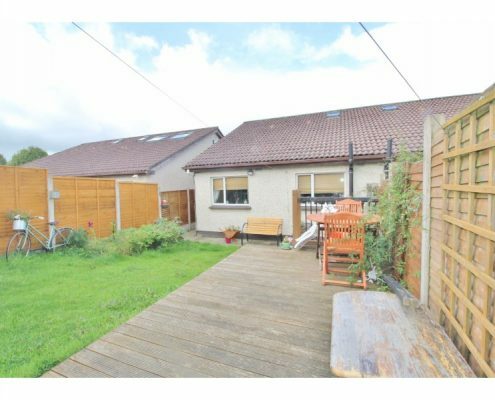 This superb two bedroom semi-detached bungalow has been the subject of much improvement by the current owner and is presented in immaculate order throughout. 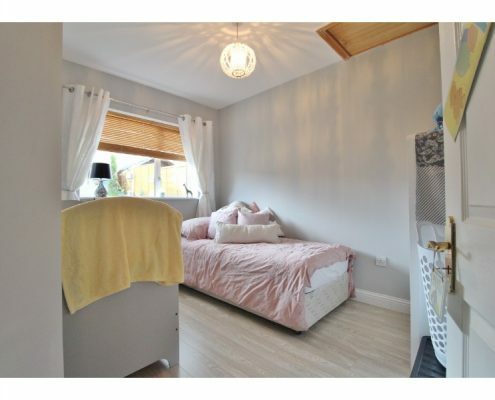 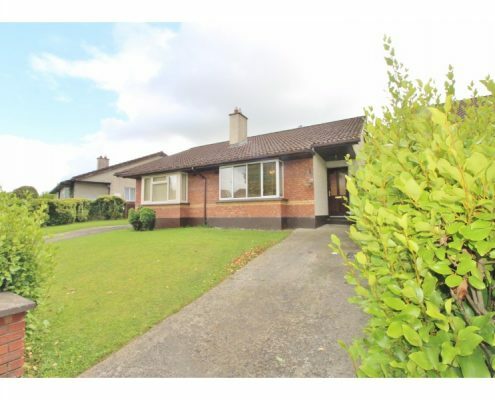 Ideally located on a quiet cul-de-sac on this much sought after development within walking distance to the LUAS, Citywest Shopping Centre, local shops schools, parks and road and bus routes (N7, N81, M50) this lovely bungalow offers bright and spacious living accommodation comprising of a large sitting room with open fireplace, brand new kitchen with integrated appliances, two double bedrooms with en-suite shower room to master and family bathroom. 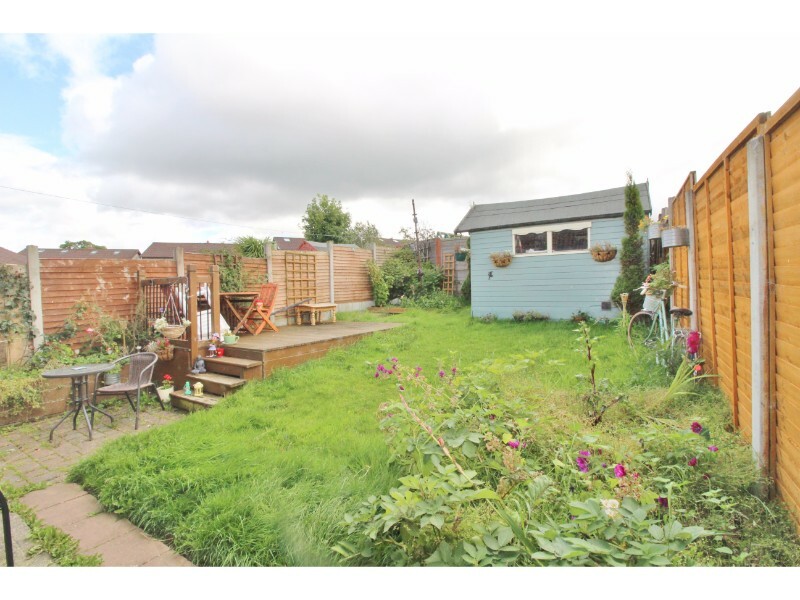 To the rear is a good size, south-facing rear garden and to the front a smaller lawned garden and off-street driveway parking. 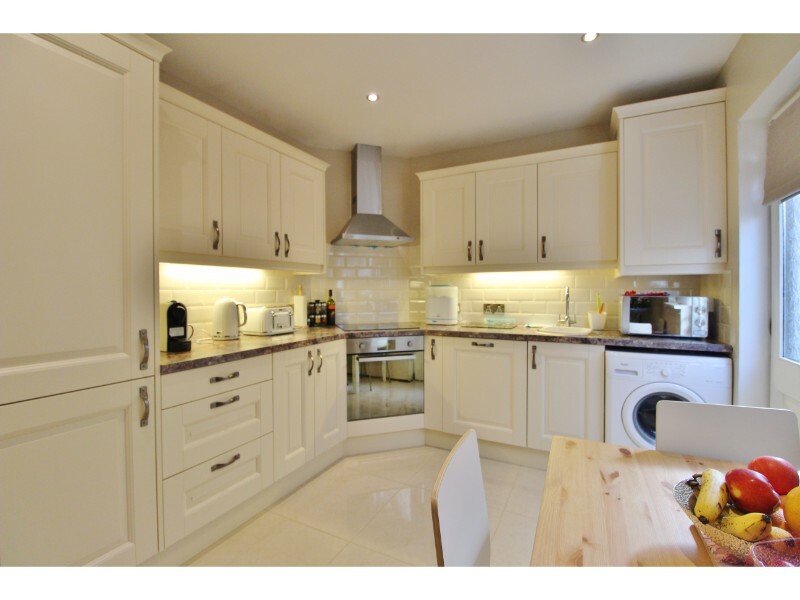 An internal inspection of this lovely home comes highly recommended. 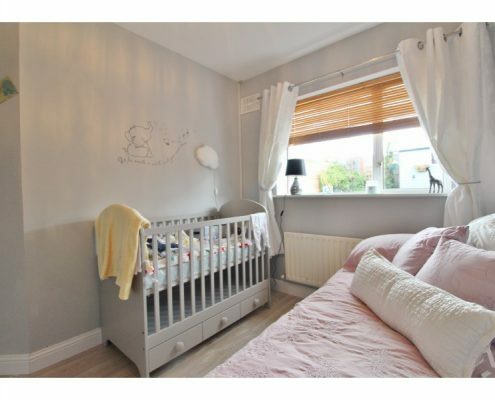 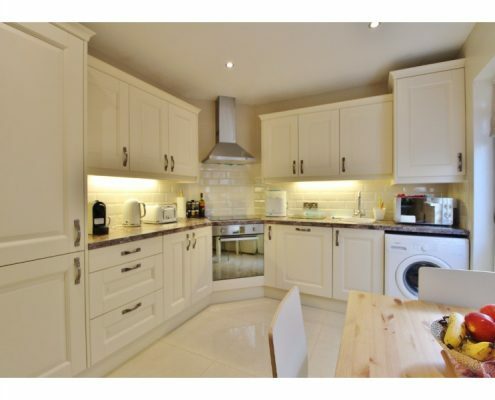 To view this exceptional property please call today on 01 490 0700. 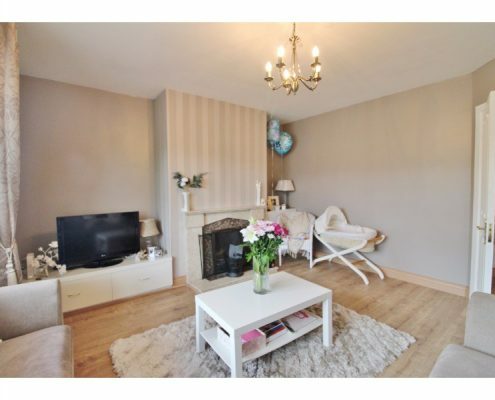 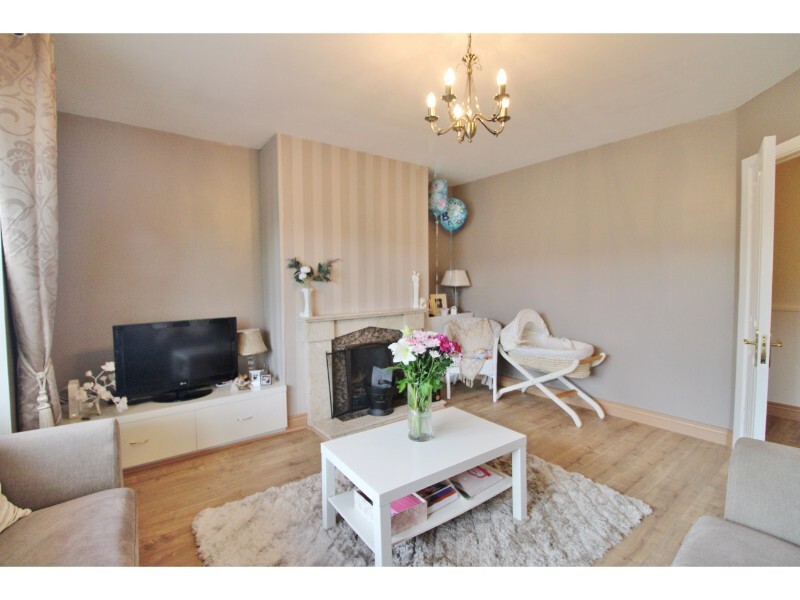 Sitting room: 4.82m x 4.37m with double glazed bay window to front aspect, new laminate flooring and feature (open) fireplace with marble surround, hearthstone and mantelpiece. 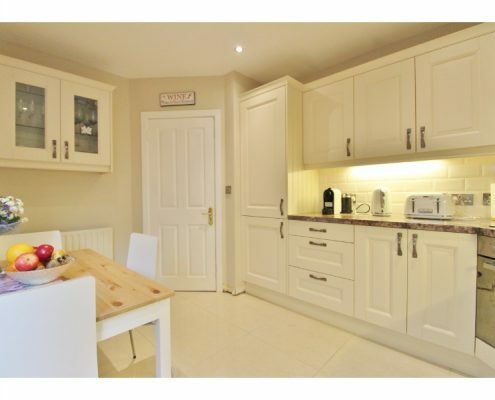 Kitchen/diner: 3.91m x 2.83m Brand new kitchen with double glazed, obscure glass window to side aspect, wood rear door with obscure glass panel to side aspect and garden, polished Porcelain flooring, a range of both eye and base level kitchen units with Granite effect work surfaces and tiled splash-backs, integrated oven, hob and extractor, integrated dishwasher, integrated fridge/freezer, washing machine and spot and under-unit lighting. 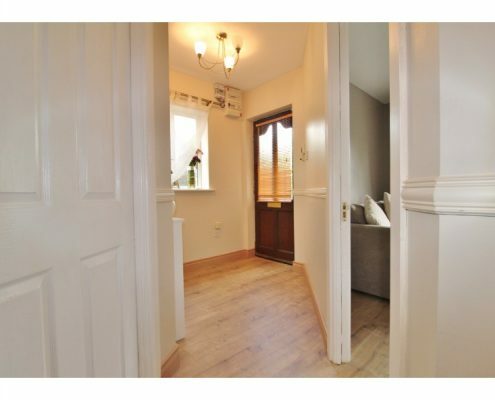 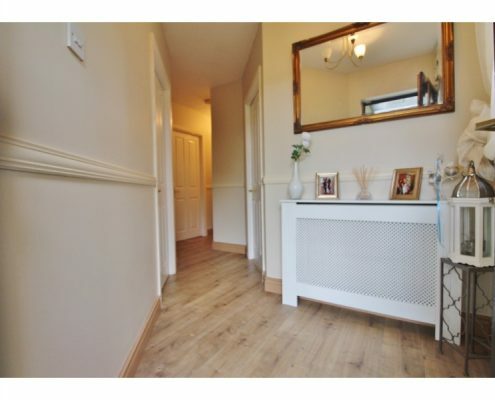 Hallway: A covered porch with courtesy lighting leads to a wood front door with obscure glass panel, double glazed, obscure glass window to side aspect, new laminate flooring, hot press, loft access hatch and alarm pad. Bedroom 1: 3.53m x 3.11m with double glazed windows to rear aspect, a range of fitted wardrobes and storage and door to en-suite. 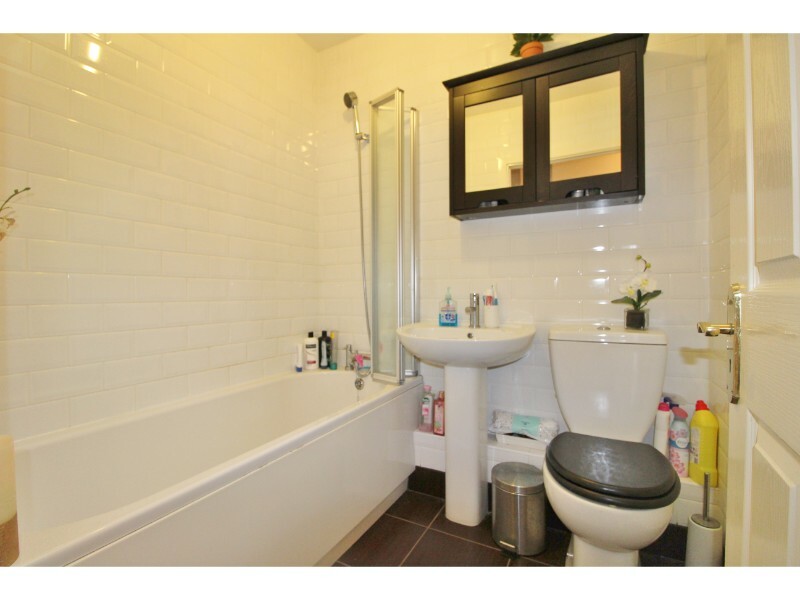 En-suite:1.69m x 1.69m Fully tiled shower cubicle, pedestal hand basin and W.C. 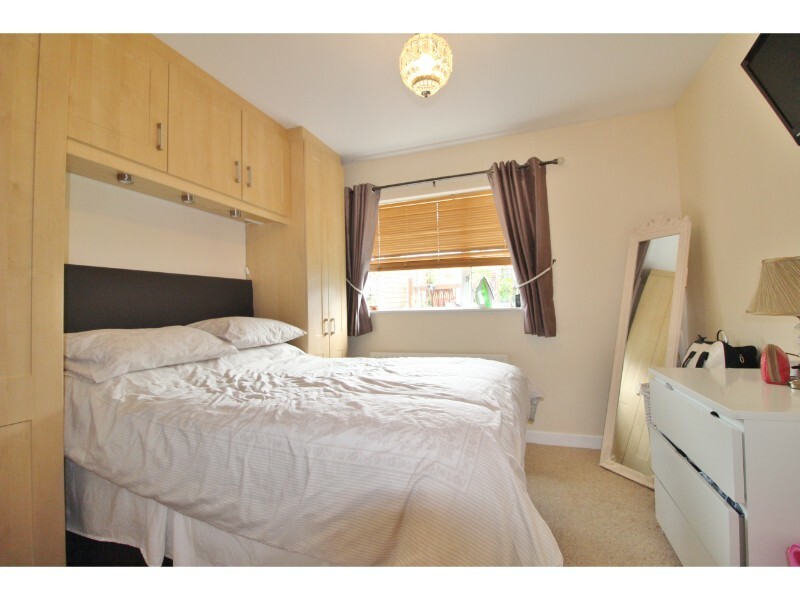 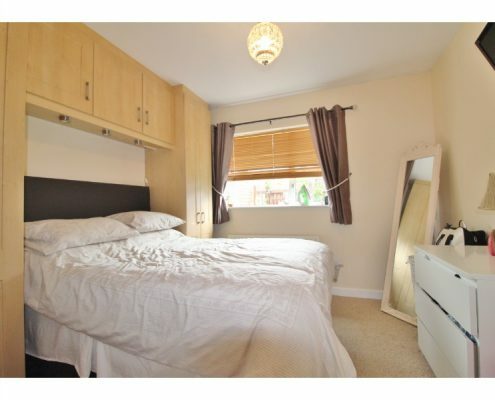 Bedroom 2: 3.22m x 2.41m with double glazed windows to rear aspect, new laminate flooring and loft access hatch. 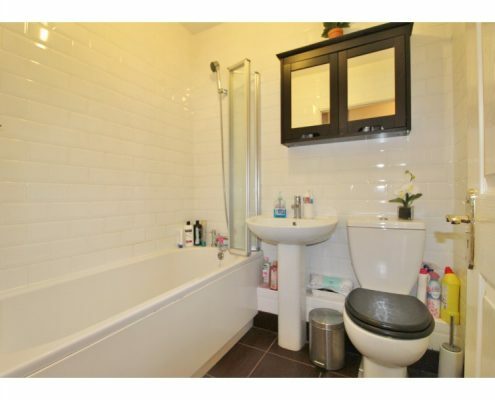 Bathroom: 1.88m x 1.68m with double glazed Velux/skylight window to rear aspect, ceramic tiled flooring, bath with shower over and splash-screen, pedestal hand basin and W.C.
Garden: Private, south-facing rear garden laid to lawn with raised deck area, vegetable patch, flower and shrub borders, wood built shed with power and TV connection, side access to driveway and outside tap. 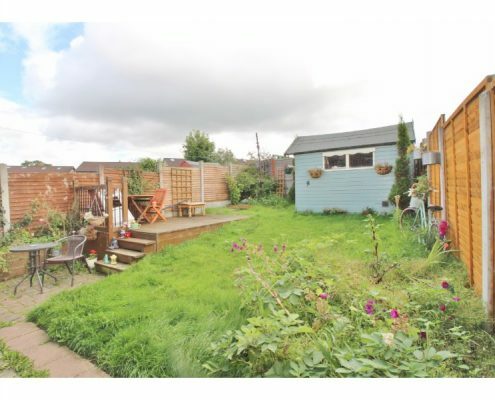 Front: Mainly laid to lawn with driveway parking for 2 vehicles and hedge border, covered porch and gate to side access.